From concept and creative to implementation, redemption and reporting, we work seamlessly with your marketing team and agency throughout your promotion. Our proprietary national sales promotions deliver powerful consumer offers yet cost a small fraction of their face-value. Most are available only through us. Click below on the name of any of our turn-key promotions to learn more. We can also customize sales promotions, contests, and events for your consumers, sales teams, or trade partners to help you reach your goals. Perfect for family-focused brands and retailers. Consumers will instantly recognize the high value of these passes to major zoos and aquariums across the Country – a leading destination for young families. Enjoy the best on-site sampling & couponing opportunities you’ll find anywhere. 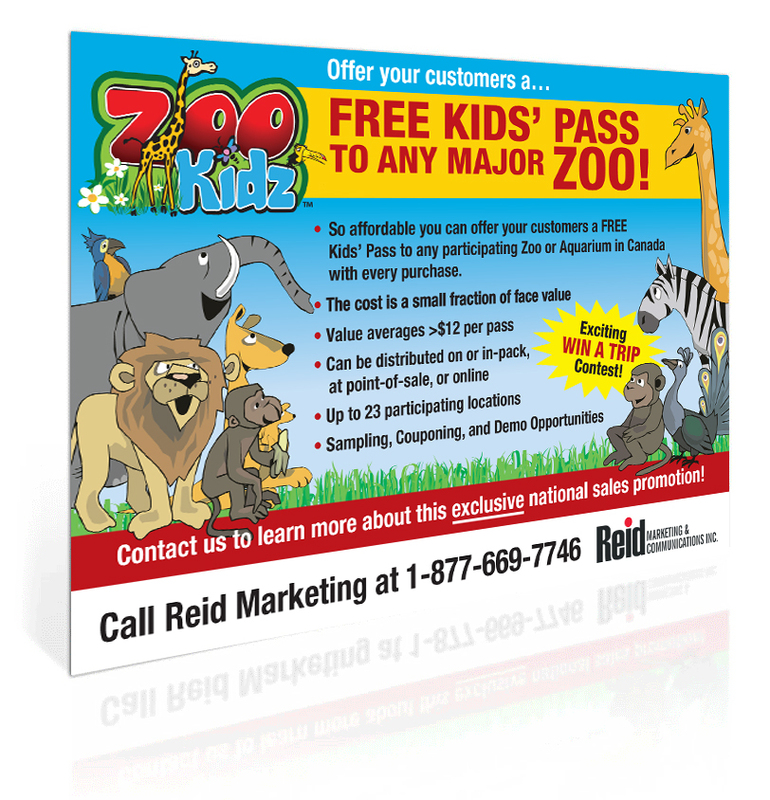 and ZooKidz.ca Crayola drove product sales and secured additional display space at key retailers with our offer for a Free Child's Pass to major Zoos and Aquariums across Canada. click to download printable promotion summary.